Having been an electronics repair technician for over 25 years I respect the power of electricity to cause damage and even death. My main occupation was repairing consumer electronics like televisions, VCRs and stereo equipment. I have seen what it looks like when electricity goes bad and felt my share of electrical shocks, not pleasant. Some of the most impressive damage I saw came from lightening or extreme over voltage. 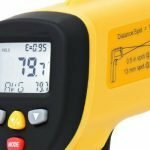 Many times I was hired by an insurance company to go through a house full of equipment that had been exposed to twice or four times the normal household voltage. It was not very pretty, lots of charred remains of electrical components and blown circuits. Basically most pieces of equipment were basket cases after that and not worth any repair attempt. Folks had to replace all their stuff. 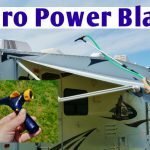 This firsthand knowledge gives me a great appreciation of what can go wrong when it comes to our RV electrical systems. 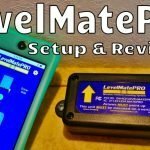 The very first thing I picked up and installed as an upgrade on the RV was a quality EMS (Electrical Management System). 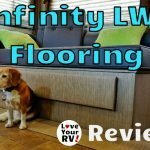 You can check out my install notes and review here. Publishing the surge protector review lead me to get to know a fellow by the name of Mike Sokol. He publishes a terrific website on electrical safety called No Shock Zone. Mike was kind enough to alert me to the fact that although the Progressive Industries surge protector I installed did a fine job it does not protect against all possible dangerous scenarios. One fault called a RPBG (Reverse Polarity Bootleg Ground) cannot be picked up by the PI surge protector. I had never heard of such a fault but he explained the theory behind it and it made perfect sense. After that I read through all his electrical safety articles on No~Shock~Zone and was very impressed. Great Stuff! Mike is truly a wealth of electrical knowledge and I’ve had a chance to chat and pick his brain a few times about various RV electrical topics. 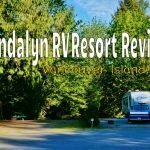 I was so pleased when I learned he has taken his 40 years of electrical engineering wisdom and written an electrical safety book just for us RVers. 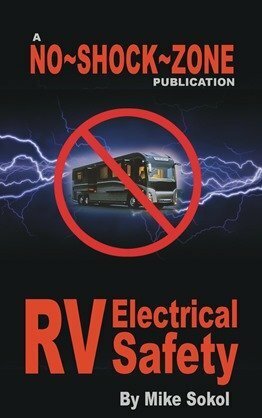 Rather than having to poke all around the internet gathering advice here and there we can now grab a copy of his new eBook “No~Shock~Zone RV Electrical Safety”. A wealth of professional grade knowledge and advice at our finger tips. I got a hold of a copy right away and read it cover to cover this afternoon. Of course already having a background in electronics I was able to absorb the information a little quicker than most. 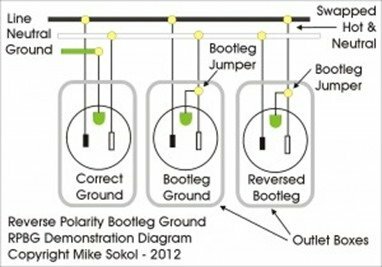 But don’t be discouraged by a lack of electrical knowledge, Mike does a great job at making the concepts simple to understand. Throughout the eBook he uses water as an analogy to help understand electricity. We all can relate to how water flows and the pressure it can apply. This makes the invisible force of electricity much easier to understand. He also has loaded the eBook up with many graphics and diagrams to aid in explaining things. I really like this as I tend to find it easier to understand complex subject matter visually rather than slogging through a written description. The book is well laid out and starts out with some basic theories and leads us along into more and more complex subjects. If at any point you do not understand something it’s easy to pop back a chapter or two and reread it. 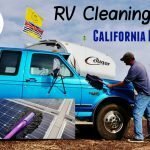 Even if you don’t fully grasp the electrical theory, Mike provides you with the knowledge of what to test for, best tools to use and how to test things so the RV electrical hookup is safe. At the end of the book there are even some diagrams and illustrations to print out. 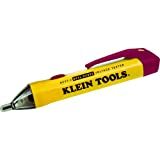 These will aid you in doing the necessary campsite power pedestal tests. 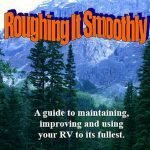 I think this is a book that all RVers should read through and keep handy with them while out there RVing. 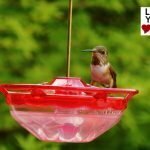 Don’t count on the campground to make sure your electrical hookups are safe, check them for yourself. If you have RVed for any length of time you are well aware that some of the power pedestals can be in sad shape. Worn out and broken hookups are surprisingly common. We usually get away with using them and nothing bad happens but when it does go bad the camping fun soon turns not so fun. Best case it’s just a financial loss but worse case an injury or even death. 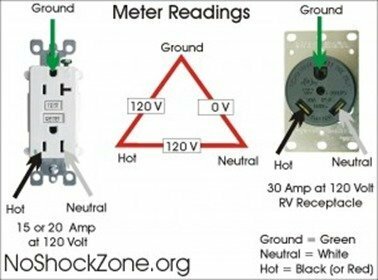 At least armed with the information provided my Mike Sokol in his eBook No~Shock~Zone RV Electrical Safety you’ll feel a lot more confident you are safe with your electrical hookups. You’ll learn from this book it only takes a small investment in a few tools and a basic understanding of our RVs electrical systems to keep us much safer out there.